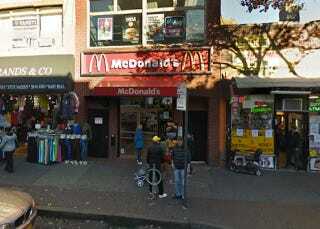 A 38-year-old Long Island man named Patrick O’Meara has been charged with a hate crime after assaulting two transgender women who were trying to enter a McDonald’s in Queens, New York on Friday. According to DNAinfo’s report, O’Meara pushed one of the women to the ground where he punched and kicked her while he screamed sexist and homophobic slurs at both of them. O’Meara left the women there briefly only to return with a cane, which he used to hit one of the victims in the head. Cops found a glass crack pipe in O’Meara’s pocket when they arrested him. O’Meara was charged in January for stealing and then driving a Volvo while drunk. We condemn this brutal hate attack and stand in solidarity with the survivors. We are horrified that transgender individuals in our community have suffered yet another hate attack. Transgender immigrant women like me are part of the heart and soul of our Jackson Heights, and we will not stand idly by as our community faces discrimination and violence. We will continue to organize in our communities and send the message that Jackson Heights and New York City must welcome and embrace all of us, and that hate has no place in our neighborhood and our City.